Fun news out of the IAAPA (International Association of Amusement Parks and Attractions) breakfast this morning, where Bob Chapek, Chairman of Disney Parks, Experiences, and Consumer Products gave the keynote address. 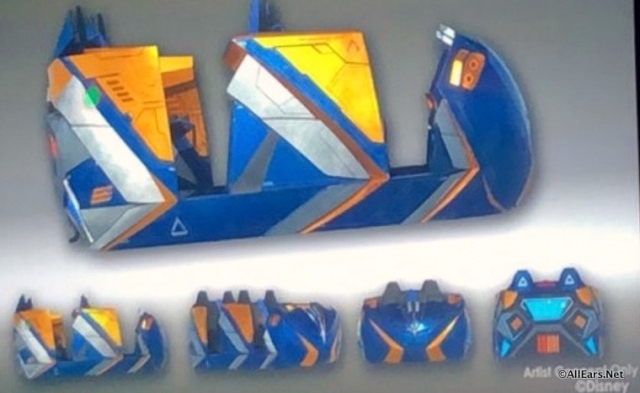 We’ve got a first look at the new Epcot Guardians of the Galaxy ride vehicles — and some extra details about the ride itself! This picture making you feel a little dizzy? Yep, that’s because the brand new Guardians of the Galaxy coaster vehicles will not be stationary vehicles that face straight ahead where you whiz by the action on the left and right side of you. Instead, the vehicles will be programmed to turn left and right to face the action straight on! 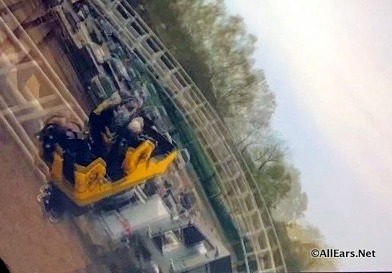 You will literally be immersed in the story from the moment the ride “launches”. That gives every car on the ride a front-row car! Chapek called this a “story-telling” coaster and you can see why. The vehicles themselves look a lot like other Epcot attraction vehicles (anyone having flashbacks to Spaceship Earth or Journey Into Imagination with these pics? ), but with a fun new Guardians vibe. The ride is scheduled to open in Epcot in the fall of 2021. Here’s some trivia for you from this morning’s presentation: How many Spaceship Earths do you think will fit into the Guardians of the Galaxy show building? If you answered four you are correct! Yes, FOUR Spaceship Earths will fit in the ride building! 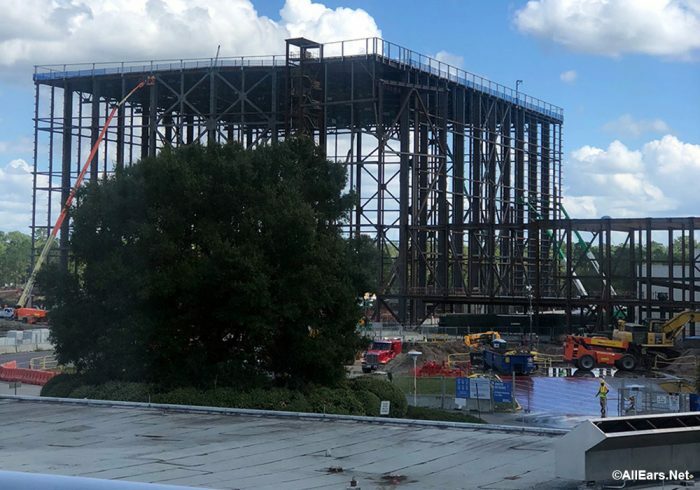 The Guardians of the Galaxy ride, as well as the Ratatouille ride, the Space-Themed Restaurant and other changes and additions in the park are part of a multi-year effort to transform Epcot to make it, “more timeless, more relevant, more family and more Disney,” as well as to “honor the park’s tradition” according to Chapek. Here’s a short look at the testing for this new vehicle! Are you ready to try this new coaster out? Let us know what you think in the comments below! Seems to me that Mr. Iger is doing all he can to reduce the “Disneyness” of the World. Try to find Donald Duck or Goofy. “Honoring the park’s tradition”??? With Marvel comics? Whatever happened to the “edutainment” mission of EPCOT? Now it is thrill rides and cartoon characters. I can’t wait to ride the new Guardians of the Galaxy ride in Epcot for the 50th Walt Disney World Resort. 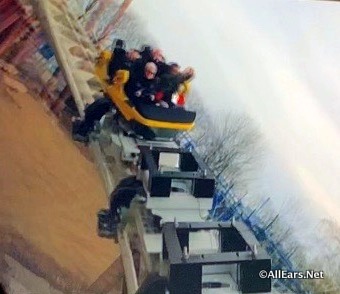 The design and operation of the ride seems like it will be new and fun. The theme. Meh, not so much.